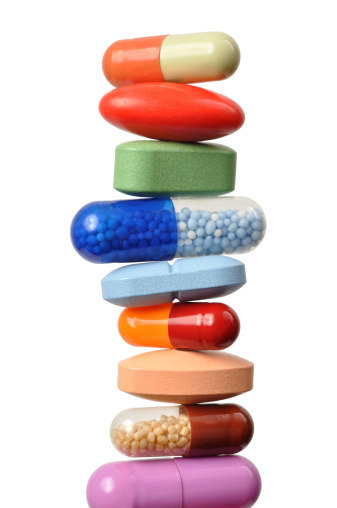 Drug Delivery Blog: #DDP13: Where does drug delivery fit in the Pharmaceutical pipeline? #DDP13: Where does drug delivery fit in the Pharmaceutical pipeline? This morning, event chair Sesha Neervannan, Vice President, Pharmaceutical Development of Allergan began by looking at the current buzz in the drug delivery industry: targeted delivery. As an industry, we have great drugs, how do we get them to where they need to go? The move to biologics has brought the need to target the specific organ. Not only is targeted drug delivery a challenge but factors such as ethnicity, age and other items need to be considered. The goal is to get to individualized medicine. Devices are no longer an afterthought, now in drug delivery devices should be one of the first things considered. This was followed by a keynote from David Pyott, Chairman, President and CEO of Allergan. He presented "When Drug Delivery Creates a Blockbuster." He started by giving background for on the company. It was founded in Los Angeles in 1950. Pyott has only been the 3rd CEO in all the time that Allergan has been in existence. Most of research and development for the company is done in Irvine California while clinical development sites are in London and Tokyo among other places. The key business model is specialization and half of the company is ophthalmology, World wide in their specialites, they rank either #1 or #2. As for the future of their timeline, in 2010 and 2011, they had seven FDA approvals. Peak sales of drugs take five/six years which means sales growth over the next few years is promising. Allergan focuses on getting products approved and having a full pipeline. They've used drug delivery as a way to improve the patient experience. Where Does Drug Delivery Fit into the Pharmaceutical Pipeline? Speakers Roy Waldron, Senior Vice President and Associate General Counsel, PFIZER, Christopher Seaton, Senior Vice President, Global Licensing, BAYER PHARMACEUTICALS, James Hattersley, Vice President, Corporate Business Development, SUN PHARMACEUTICALS, and Simon Hartas, Vice President, Medicines Evaluation, Pharmaceutical Development, ASTRAZENECA were on a panel to discuss these topics. Without adequate drug delivery and devices the compound invited is really useless. What are the top priorities in selecting the drug delivery throughout the drug development process? Hartas of AstraZeneca believes it depends on where the compound is in the drug delivery phase. There’s a balance between speed and advanced delivery systems. The strategy of the process is a moving beast and done on a case by case basis. The advanced drug delivery system causes extreme ties and makes it very difficult to move back should something need to be done over. Hattersley of Sun Pharmaceuticals states that his company focuses on differentiation and value proposition. They look at what’s on the landscape and what they have to offer. What will the innovation mean for the product portfolio they have? Changing products and product profiles need to be altered with what the patient wants and looking at the pricing and reimbursement side. Chris looks at whether or not there is value or differentiates the product. If it doesn't provide extra value, there isn't anything this specific delivery system can do for the company. There is no value to the company if there is no value created for the customers. Sun Pharmaceuticals starts by designing their product and what they want it to look like as and end product and move backwards. When taking the innovation to the FDA, they look at it from an aspect as to whether or not it’s new and novel followed by the safety. Then the FDA will look at what does the system do? Hartas of AstraZeneca believes that novel drug delivery has the opportunity to open up new areas of science in terms of specific delivery and more in-depth delivery methods. Bayer Pharmaceuticals believes that a critical part of repurposing drugs is drug delivery is an important part of this. Sun Pharmaceuticals also counts on drug repurposing and states that a growing source of revenue and contributes to pipe line throughout the delivery system in a more beginning part of the process.